Welcome to Peak Health Centre, wellness under one roof. Meet our team of professionals dedicated to help you with your health goals. Our services are unique to the area as we have multiple therapists in one location, providing specialised care specifically tailored to meet your needs. 2019 AUSTRALIAN SMALL BUSINESS AWARD WINNERS PHYSIOTHERAPY! 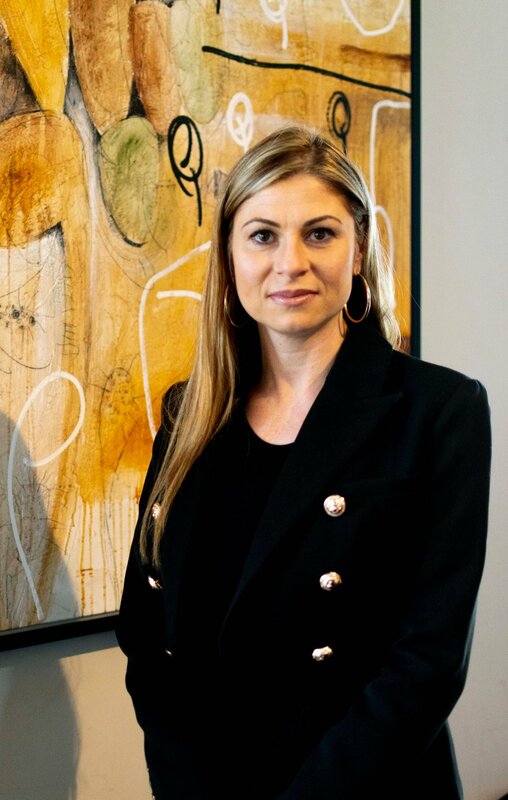 Dr. Vicky Salakas (Chiropractor) graduated from the University of NSW with a Bachelor of Science majoring in Anatomy and Physiology, and then went on to graduate from Macquarie University with a Masters of Chiropractic. She spent six intensive years training to become a doctor of chiropractic. In pursuit of more knowledge, Dr Salakas furthered her education by studying muskuloskeletal acupuncture as well to add to her treatment modalities. She has post graduate studies in pediatric care, an area she has great interest in. 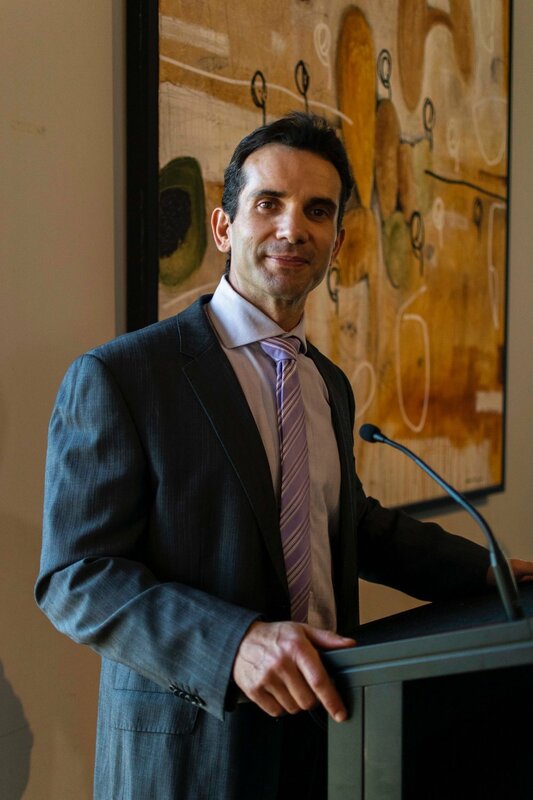 Dr Salakas (Chiropractor) has been delivering quality care to the South West of Sydney since 2001. She has generated an interest in the function of the human body and its involvement with the nervous system. Through diligent studies she is able to apply her knowledge, helping people of all ages and in all facets of life. Specialising in injuries and their rehabilitation, she focuses on not only restoring function and maximizing performance but also educating people about spinal health so the changes we make today continue to benefit you in your future. One of her interests is in pediatrics and she is dedicated to improving the health of children through the benefits of a healthy spine and nervous system. Her other areas of interest are caring for women in pre and post natal care, and caring for people with sporting injuries. Dr. Salakas (Chiropractor) believes that prevention and a healthy lifestyle are the keys to long-term health and happiness. Her goal is to educate and heal as many families as possible using natural health care. She has wholistic approach to her own health and wellbeing by participating in sports and attending the gym on a regular basis. See what people are saying about us. Click the link below. Dr Canh Ly has travelled all the way from Canada to obtain a Bachelors of Chiropractic Science and a Masters of Chiropractic from Macquarie University. Canh’s approach to Chiropractic involves tailoring his treatments to individual patients, and ensuring results are not only met but are exceeded that will benefit the long-term health of his patients. Canh uses a wide range of techniques such as diversified, gonstead, drop-piece, dry needling, and soft tissue techniques that also give him a broader scope of treatment for lower force techniques and chronic or acute conditions. Canh enjoys working with the entire family and understands the importance of injury prevention and rehabilitation and the role that chiropractic plays in maximising people’s health. Through patient education, Canh is able to help the patients understand why problems are happening and why they happened and what’s needed to be done for a full recovery. In his free time, Canh enjoys watching ice hockey, going to the gym, exploring Australia on his time off and cooking. Dr Steven Tran (Chiropractor) graduated from Western Sydney University with a Bachelor of Health Science (Sport and Exercise Science), and then went on to graduate from Macquarie University with a Graduate Diploma of Chiropractic Science and Masters of Chiropractic. Steven has been in the health field for more than 5 years and his interest in chiropractic stemmed from postural concerns, which limited his ability to enjoy a range of sports and outdoor activities due. After recently suffering from a severe lower back injury whilst training at the gym he has experienced first hand how debilitating an injury can be to both your physical and mental health. His passion for health and well-being will drive him to get you back on top of your goals! Vernon has completed a bachelors in Exercise Physiology and a Masters of Physiotherapy. He is an accredited member for both disciplines, enabling him to treat a spectrum of injuries ranging from acute injuries to chronic conditions. Vernon is passionate about lower limb injuries, strength and conditioning and returning people back to the demands of their everyday life; whether that be sport, work or just going for a walk with the family. Vernon is a strong advocate for injury prevention and will be sure to get you back to doing what you love whilst minimizing the occurrence of re-injury. He has worked managing post-operative patients following hip and knee replacements, clients with chronic diseases and managing clients involved in work related injuries. This involved designing and implementing treatments to improve the functional capacity and general health of each individual client. In this role, he completed initial assessments, functional capacity tests, liaised with doctors, employers and other allied health professionals and successfully returned injured workers back to their pre-injury duties. With a thorough understanding of the Workers Compensation scheme and having been a WorkCover approved treatment provider for the many years, he has also been able to bring her clinical expertise, pain management strategies and enthusiasm to manage the return to work of injured employees. As a health professional, Bill Patselis has an extensive history in the health and fitness industry. He finished a 4 yr university degree in 2000. Bachelor of Health Science majoring in Human movement. He is an accredited exercise physiologist and a member of the Australian Association for Exercise & Sports Science. Bill has worked in conjunction with many health professionals including treating doctors, chiropractors and physiotherapists, focusing on musculoskeletal injuries. He has a real passion in treating patients with various injuries and conditions, educating them, helping them to understand what has occurred and what they need to do about getting better. Seeing patients with severe pain which may be affecting not only their lives but also their loved ones, and then after a period of time seeing them without any symptoms, makes it all so rewarding and worthwhile. He has also completed a Hospitality Management Diploma, focusing on food & nutrition to gain a better understanding of the role nutrition plays in our bodies. Bill also has vast range of knowledge and experience in the fitness industry, and has managed various corporate fitness centres around Sydney. He has also been a Personal training coordinator at both Broadway gym and KX fitness. He has presented several segments on 2GB Radio discussing the steps and benefits of leading an active healthy lifestyle. Bill has also worked as a PD/H/PE teacher and Sports Coordinator at many prestigious secondary schools in the Eastern Suburbs such as, Moriah College, Marcellin College, Sydney Boys High, and Matraville Sports High, running the strength conditioning and rehabilitation programs for the representative players and teams attending the school. Jem has completed his double degree of Bachelor of Health Science and Masters of Physiotherapy. His sporting background has lead him to develop a keen interest in musculoskeletal and sports physiotherapy. Prior to graduating, he volunteered to work with elite level rugby league players and has continued this since graduating, being the lead physio for local rugby league and soccer teams in the South Coast. This experience has allowed Jem to develop crucial knowledge to assess and manage both acute and chronic injuries as well as identifying the root cause of patients pain. Jem incorporates manual therapy as well as exercise to help patients restore and maximise their function.